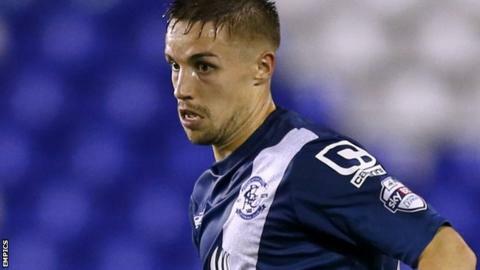 Defender Mitch Hancox has extended his loan spell with Crawley Town from Birmingham City until 2 January. The 22-year-old has made 11 appearances for the League Two club since his arrival at the start of October. "I was more than happy to sign for another month. I have really benefitted from playing regularly," he told Crawley's website. Hancox has made a total of 40 appearances for Birmingham since making his first-team debut in October 2012. Crawley manager Mark Yates said: "Mitch is a great pro and a popular lad in the dressing room."